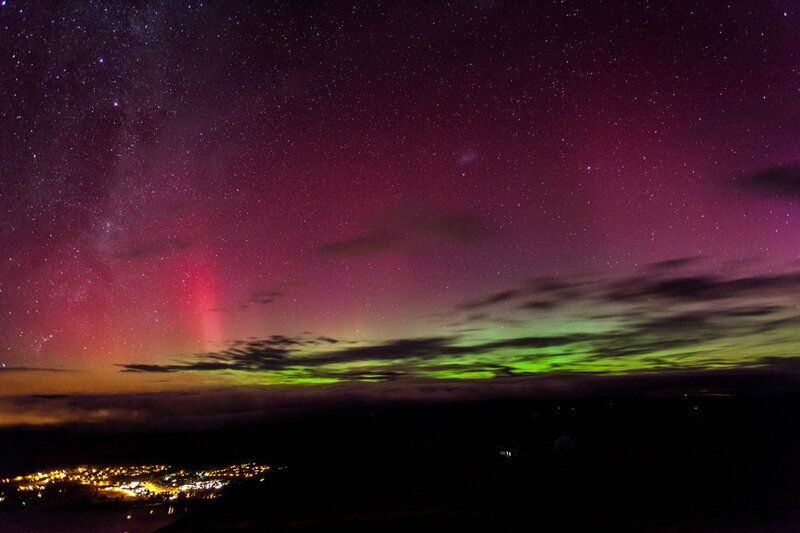 The Aurora Australis as seen from Mt John Observatory in Lake Tekapo. Photo by Dallas Poll / Earth & Sky. You can practically reach for the stars in New Zealand, where sightings of Magellanic Clouds, the Aurora Australis, and the Milky Way are par for the course. SOUTH ISLAND, New Zealand – With a population of slightly more than one million spread out over some 58,000 square miles, New Zealand’s South Island is stunningly beautiful and pretty empty. Fewer people mean fewer buildings, and that means very little light pollution, which brings you incredibly close to the stars right here on Earth. The Southern Cross, Magellanic Clouds, the Aurora Australis, the Milky Way — just some of what you'll see clearly within the 2,700-square-mile Lake Tekapo region, which was deemed UNESCO's first starlight reserve and the world's biggest by the International Dark Sky Association. Take a star tour with Earth & Sky and peer through the six mighty telescopes at Mount John Observatory. Time stands still around here, from the setting near an ancient volcano to the lodge itself, a converted Victorian mansion. 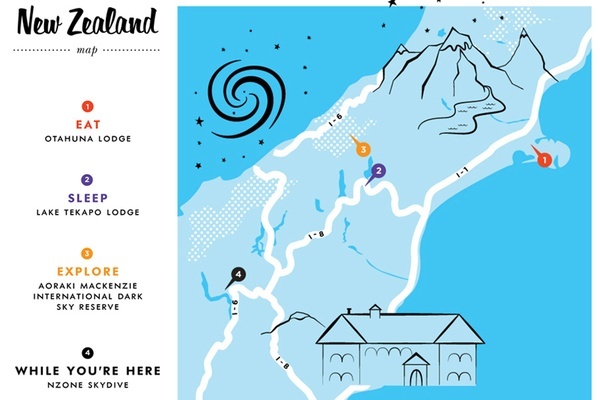 The five-course chef's tasting menu shows off the best qualities of New Zealand cuisine: locally sourced, estate-grown, delicate, and, of course, paired with the country's great wines. A charming three-room inn decorated with antique accents, chandeliers, and modern art. Come for exceptional views of Lake Tekapo and the surrounding mountain ranges and for easy access to Mount John Observatory and air safaris. 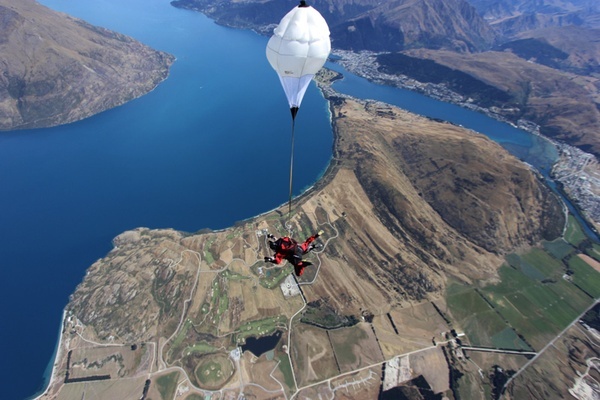 New Zealand may be known for bungee jumping (and all forms of adrenaline-pumping sports), but there's a particular out-of-body thrill in flying through space on a minute-long freefall at 124 mph. Think about it as the highest you can get without a shuttle. NZone Skydiving takes beginners on tandem jumps from 15,000, 12,000, and 9,000 feet. All you need is the guts to do it.